In the Latvian forests, there was a bus stop just called “the facility”. 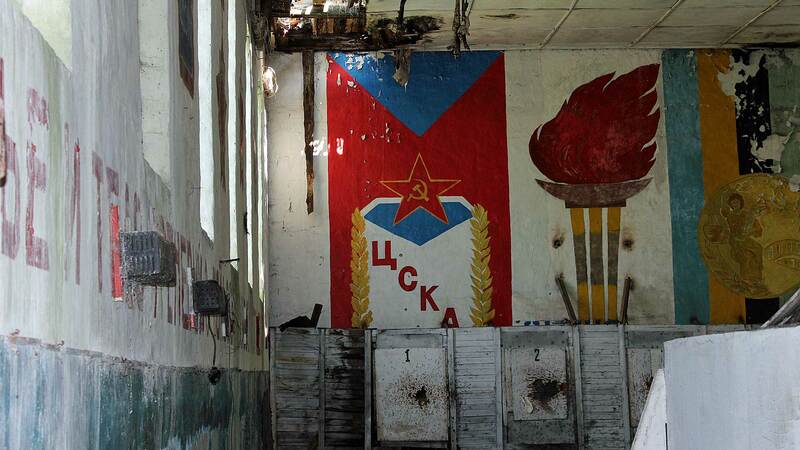 Welcome to Skrunda-1, once a gigantic and top-secret Soviet radar station. We are a short distance from the coast inland of Latvia. Here was a radar unit that would prepare for enemy attacks in advance. The goal was to build 7 radar stations of the same model as Skrunda-1. These would form a circle around Moscow, for early attention to long-range weapons. Only two of these radars could be finalized before the Soviet collapse. Skrunda-1 (in Russian “СКРУНДА 1”) never reached its full potential. The project to build the seven radars for the Daryal model (Russian “Dnepr) was too extensive. Because of the threat of nuclear weapons, both sides in the Cold War betted on long-range weapons that could be mounted with nuclear weapons. 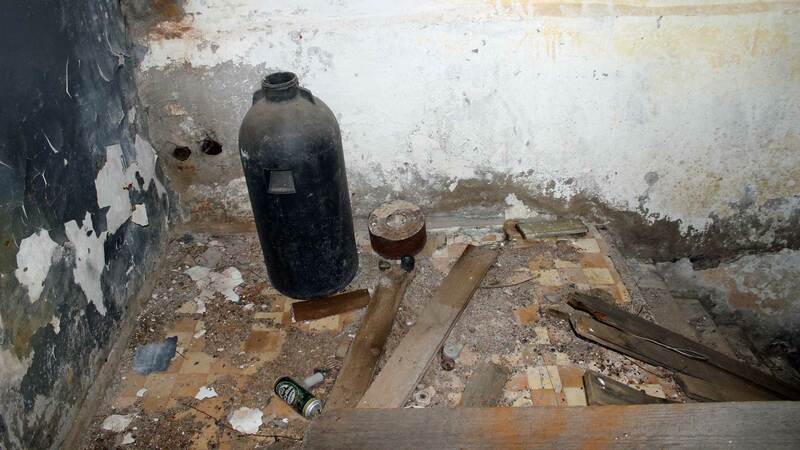 In Latvia, it was outside the small community of Skrunda these weapons would be detected in time. This at a safe distance from Moscow. 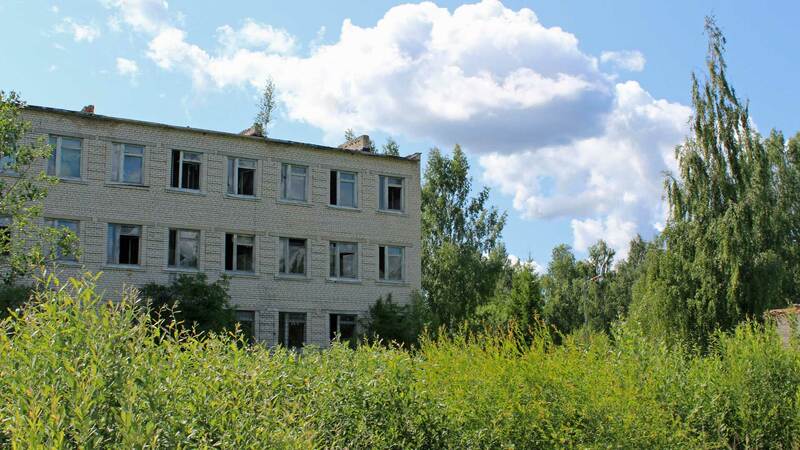 7 kilometers outside Skrunda and 150 kilometers from Riga the Soviets found a valley with dense vegetation. PERFECT FOR CONSTRUCTING SECRETS! 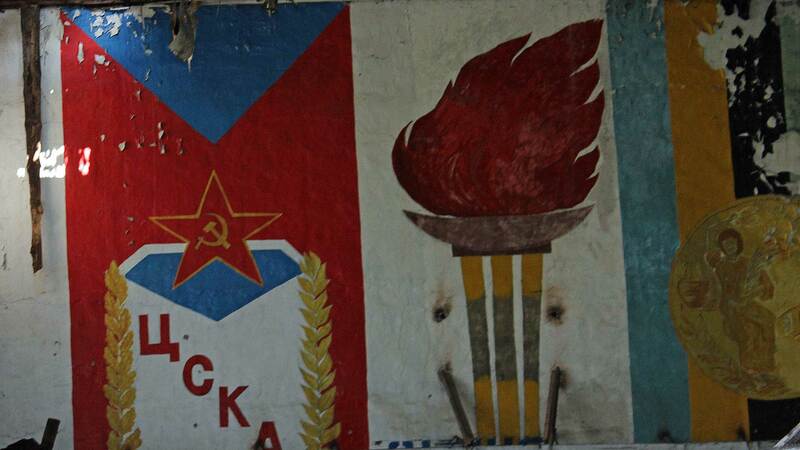 Construction of Skrunda was carried out by soldiers, who did not know what they built. As a motivation for the workers to keep quiet, they received extra pay. How long the plant actually remained hidden is not known. In 1955 began the construction and in 1967 it was finished. Then there was a “wing” extending 250 meters into the air. Two rough coarse power lines on each 110 KW were connected to the “wing”. The current strength at that time was impressive. How to hide something that big? Another reason for secrecy was cleared were the major disruptions that occurred on the radio and television broadcasts. The Latvians had previous experience in broadcasting disruption when radars were built by the Soviet Union. It was therefore not difficult to conclude that it should be a top-secret Soviet radar installation in the forest. In 1971 they built the second radar station. This resulted in local radio and TV broadcasts largely were disturbed out. In addition, technological development had gone faster than expected. The plant impressed no longer technically, and plans for a new generation Daryal radar went to work. Officially, the strength of the radar was set from 1.25 to 1.8 megawatts but could be increased to 3 megawatts. This means that the radar was able to detect incoming objects up to 6,000 kilometers, in altitude 3000 km. In 1985 began the construction of the new generation Daryal radar. It was estimated that it would be completed in 1994. However, the Soviet Union fell apart before this. In 1992, the Latvian authorities to discuss how to respond to Skrunda-1. The Russians were still there, and the plant was in full operation. The Russians insisted to continue to use the plant, but the Latvians refused to go along with this. In late 1992, visited the “Latvian Agency for the Soviet troops ‘withdrawal’, with journalists, Skrunda-1. Now for the first time, it was possible to confirm that this was a system that monitored any missiles that NATO could conceivably use against USSR. 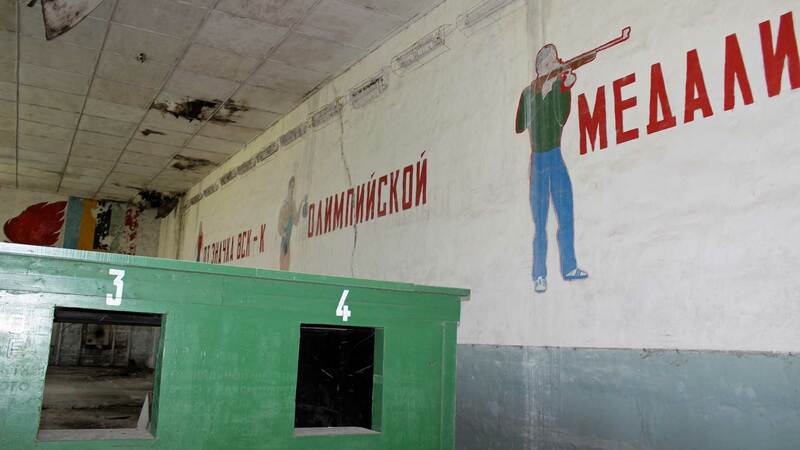 Propagandistic murals on the walls of the shooting range. When it was officially confirmed what kind of place Skrunda-1 was, the myths that had long been grown in the area disappeared. The radio waves shipped by Skrunda-1, was on an extremely low frequency and the sound was heard 10 times a second. 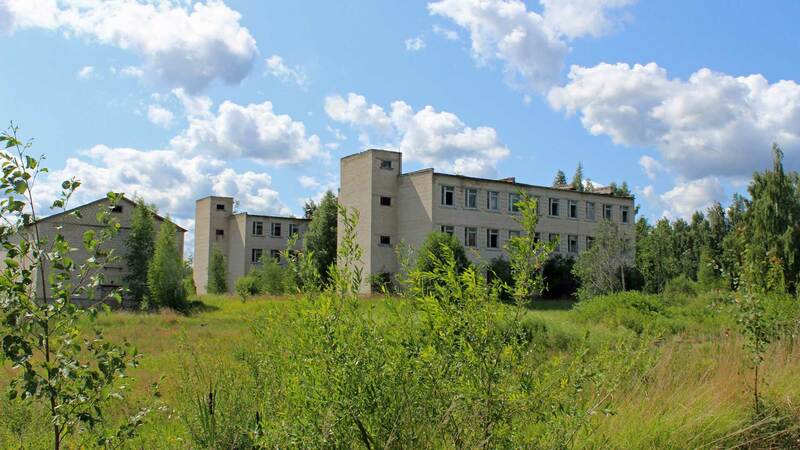 Radio amateurs who for a long time listened to the radio transmissions of Skrunda-1 had theories of mind-control experimenting, but this was not the case. The Skrunda-1 signal pulse carried by radio waves containing a code with high precision could detect incoming objects. Additionally, you could, if you wanted to, knock out all broadcasting worldwide for about 7 minutes. The strength that Skrunda-1 was able to generate also had been fully sufficient to damage satellites. In 1992, unfinished new radar had become high as an 18-story building. The same radar model was constructed in Murmansk, as part of the overall protection against NATO. If the Soviets had activated the new radar, the public concern in Latvia had risen to enormous levels. Huge amounts of power had been flowing to the facility. And when the Soviet Union now had fallen, ordinary people dared to protest against high doses of electromagnetic radiation. 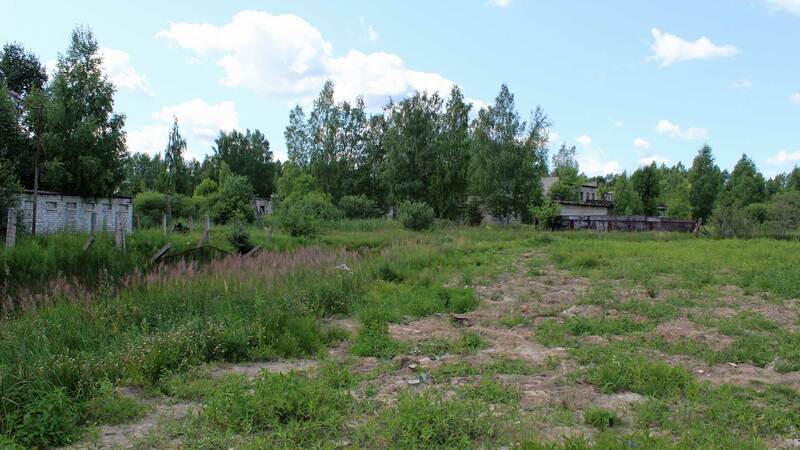 Latvian authorities had previously noted the strong electromagnetic radiation from the plant. It was revealed that it was 23 times higher than the allowable limit. Any action by the Soviet Union was never done. The rumors of radiation among the local population, covered, for example, infertility in cattle, low fertility, birth defects and other health conditions. 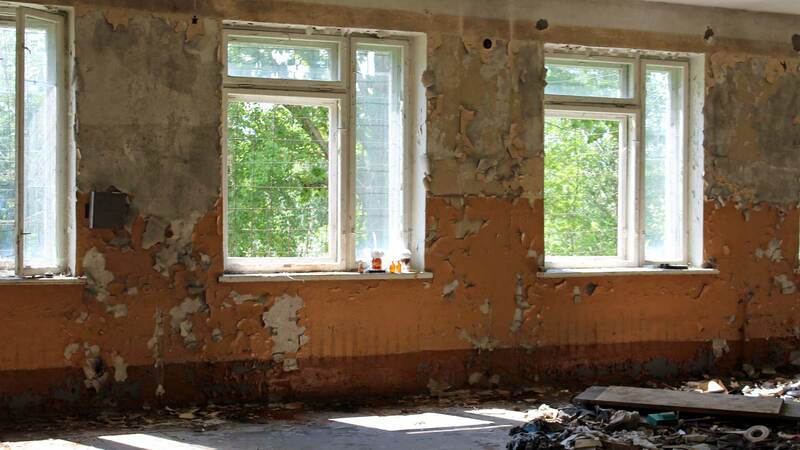 The fear of radiation was fresh in the memory after the Chernobyl disaster in 1986. Tests were made in the area but never managed to prove that this radiation doses had had any physical impact. 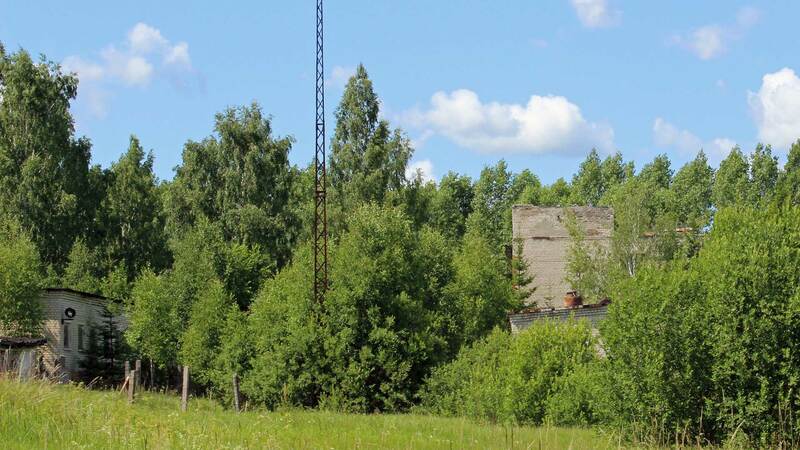 In addition, local residents told newspapers about the green fields in the air over Skrunda, audio hallucinations, and electronics that crashed near Skrunda-1. 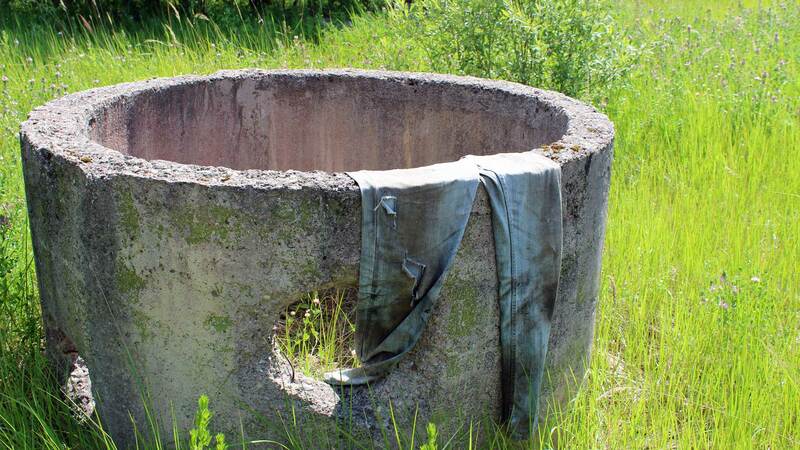 Despite the absence of evidence, the living memory remained with the Latvian population, and any attempt to build new radar stations has resulted in massive protests. What to do with a megastructure? Now the question remained what to do with the 250-meter high incomplete radar unit. It was unpopular among the Latvian population. In 1995, the American company “Controlled Demolitions” got a contract worth $ 8,000,000, to blow up the radar facility. 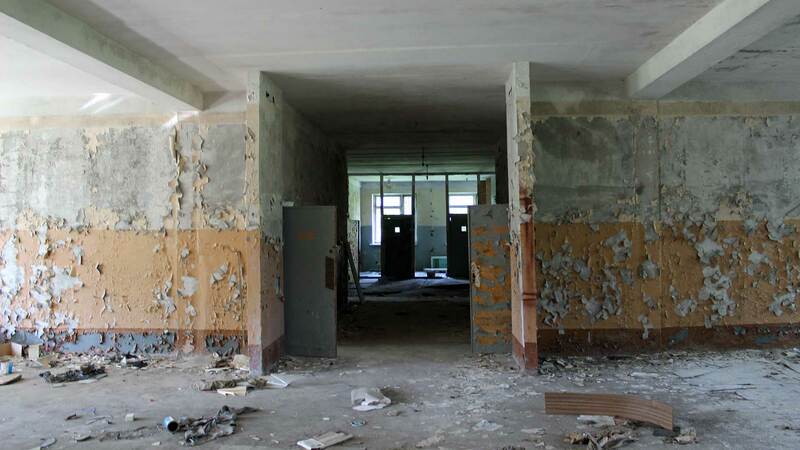 Latvian authorities had ignored demands from domestic scientists using radar facility for research purposes. Now there were two working radars remaining. 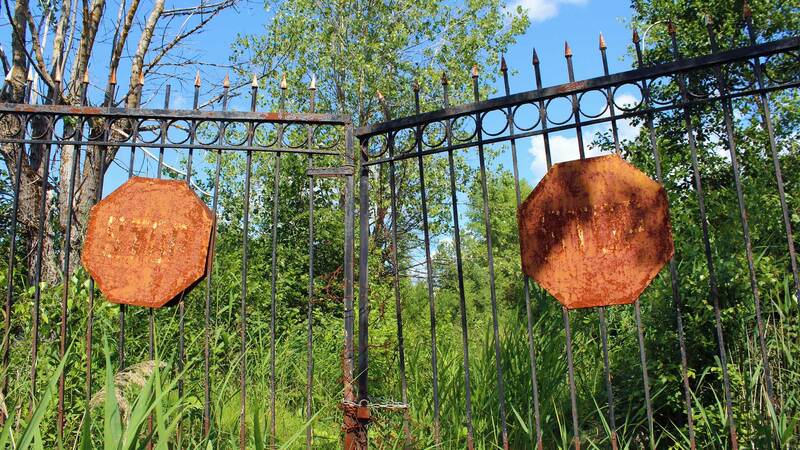 These were in operation until September 4, 1998, when the Russians finally agreed to leave the facility. 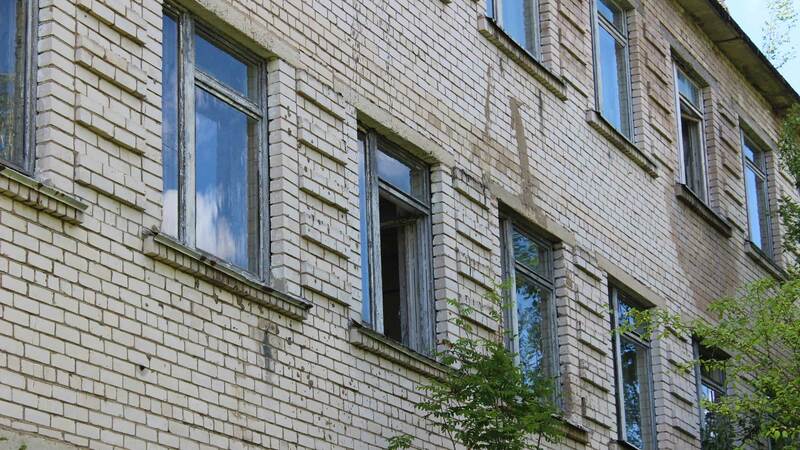 Left in the facility remained apartment houses for hundreds of residents, school, stores and everything else that belongs to a small community. 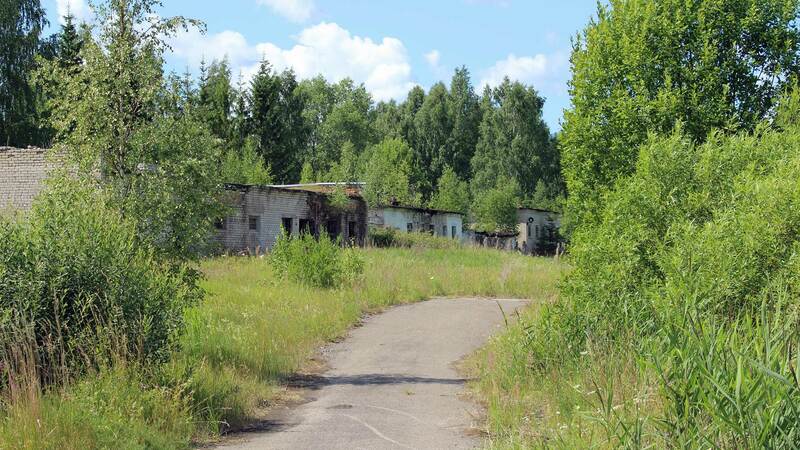 Several attempts have been made to auction off the area around the Skrunda-1, but the small city is still intact, and only nature has partially backfired against the concrete. Next article Ride Sober In Poland Or End Up In Jail!